There are 4 blog entries for January 2011. During 2010 Brian Talley, the owner and real estate broker of Regent Property Group LLC, was among the top 1% of buyer agents out of the 5,313 Austin Board of REALTOR® members that sold homes in the greater Austin area measured by number of transactions closed for all residential property types. Brian was among the top 2% of buyer agents measured by total dollar volume sold. 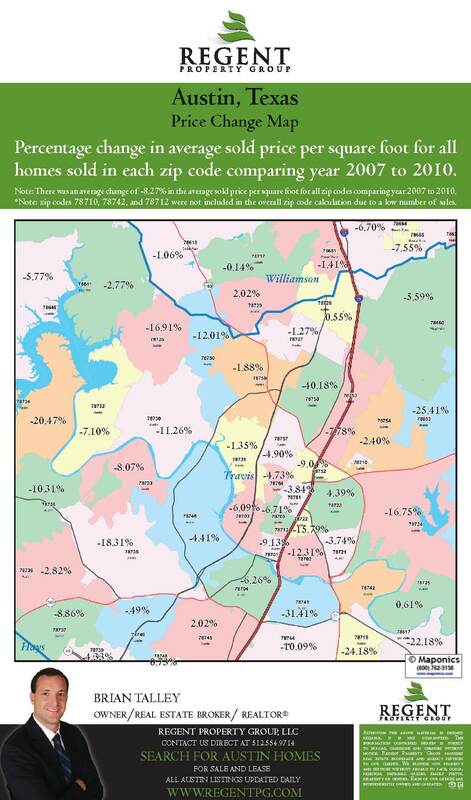 During 2008, 2009, and 2010 Brian has been a top producer closing multi-million dollars worth of residential purchase and sales transactions for homes located all over the greater Austin area as far south as Kyle, as far north as Georgetown and Lago Vista, and in many areas in between.